All Colorado State Parks were free on Black Friday to promote #Freshairfriday. This gave me a chance to check out the St. Vrain State Park right up the road from me. 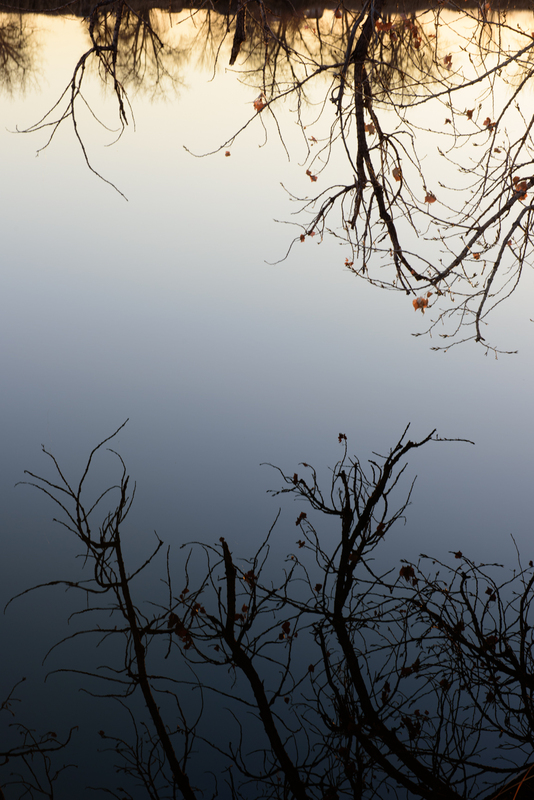 The air was dead calm giving plenty of opportunities to play with reflections in the water. In this photo of Mallard Pond you can see the orange of the setting sun at the top in the reflection of the far shore in the water. Meanwhile towards the bottom the approaching night gives the sky a deep blue color that contrasts with the sunlight. I enjoy pictures that are slightly “difficult” to look at and make you think twice. I need to play more with reflections as they give a lot of options for abstract and surreal photos.